Photo: California High Speed Rail Authority. California’s high-speed rail authority has received submissions from five international consortia for its early train operator contract (ETO). The consortia include companies from China, Germany, the UK, Italy and Spain. DB International US – DB International USA Inc, Deutsche Bahn AG, Alternate Concepts Inc, HDR Inc.
FS First Rail Group – Ferrovie dello Stato Italiane S.p.A, FirstGroup plc, Trenitalia Rete Ferroviaria Italiana S.p.A, CentoStazioni S.p.A, Italferr S.p.A, McKinsey & Company Inc.
Stagecoach Group plc – Stagecoach Group plc, Coach USA Administration Inc. 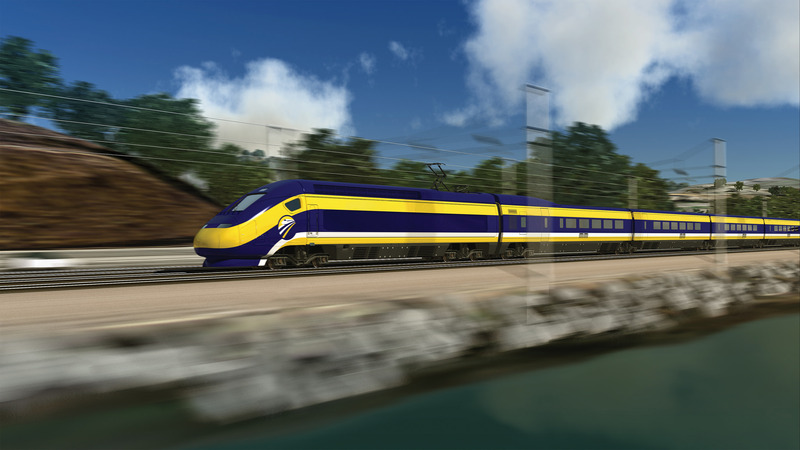 The California High-Speed Rail Authority issued a Request for Qualifications for the contract in December last year. At the time, the authority said it hoped to name the ETO in summer 2017. The ETO will offer advice during the design and construction of the new system, as well as initially running the service while a long-term operator is chosen. However, the ETO will also be eligible to bid for the main operating contract. Construction is currently underway on the Central Valley to Silicon Valley section of the route. This is expected to be completed by 2024.